Random House Books for Young Readers, 9781101934876, 96pp. Ahoy, mateys! 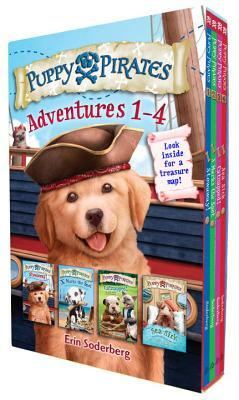 Set sail with the Puppy Pirates in their first four adventures collected together for the first time—complete with treasure map and activities! Meet Wally, his human friend Henry, the pugs Piggly and Puggly, and the rest of the puppy pirate crew in their first four adventures on the high seas. From treasure hunts to kitty cat pranks, these puppies know just what it means to be a pirate—and have lots of fun!